Just can’t get enough of lippies these days! Adding on to my ever-growing Estee Lauder babies, matte lippies lovers will be pleased to know about the upcoming November launch of Estee Lauder Pure Color Envy Matte Lipsticks – a new lipstick collection created in collaboration with Estee Lauder spokesmodel, Joan Smalls. Every single one of the shades and finish seen above was thoughtfully hand-picked by Joan, and the results? From rich purples to fiery oranges, here’s a specially curated collection of 7 bold, matte lipsticks for the everyday chic chick. 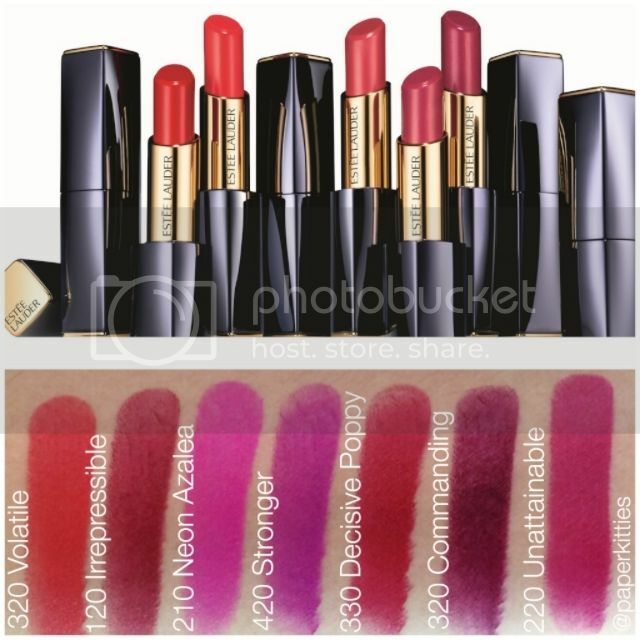 Just like all Estee Lauder lippies, especially the Pure Color Envy range, you can expect an intensely rich, highly pigmented finish that is lightweight and not at all drying to one’s lips. With just one stroke, you can expect a uniformed layer of saturated ultra-matte colour. 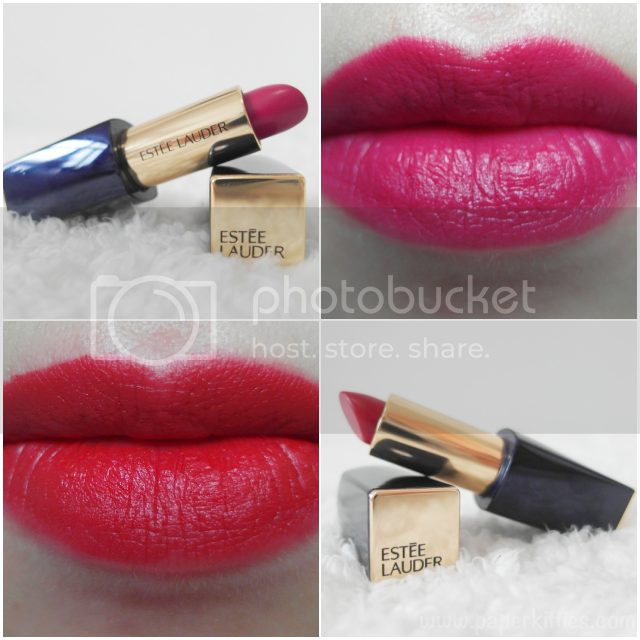 My picks were Unattainable and Decisive Poppy as I am looking for a different colour palette from the ones that I have already owned, and as always, only with Estee Lauder do I feel comfortable trying different hues of bold lip colours as they rarely go wrong on me. Thankfully, my choices are right again 🙂 I reckon the colours are truer with the swatches as the two that I’ve picked tend to steer towards the darker, slightly berry shade that I am keen to try on ever since I’ve seen some influencers sporting the major bold red lippie. Decisive Poppy is a good start if you’re keen on following the trend but still feel hesitant if you can carry it off.. line it with a black cat eye and you’ll be ready to dominate the night!